We are Rocking with the letter R! 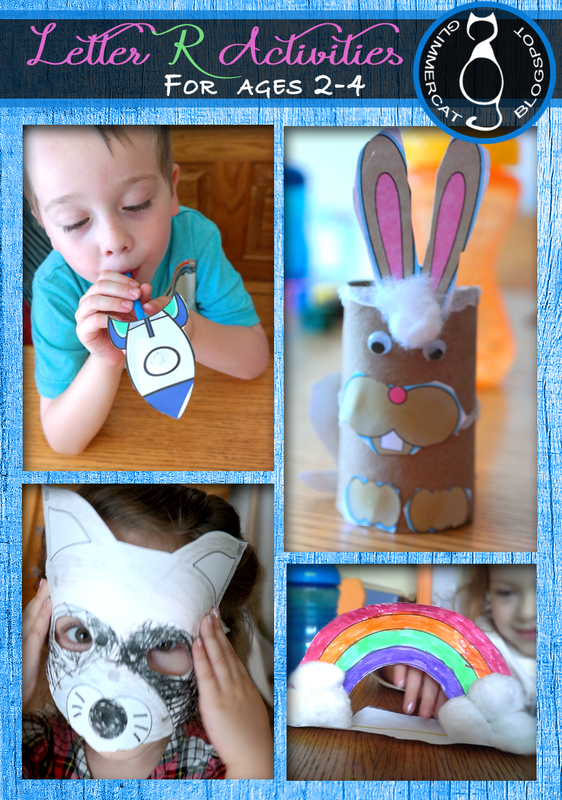 Look at all these FUN crafts and activities! This packet in totality is available in our store. But let's go over some of these fun things first here... Our letter of the week packet is set up so that we focused on one "R word" each day of the week. One of those days is "Rocket". This was SUCH an exciting craft for my daughter and my son! First, they cut out their rocket-ship and the small rectangle accompanying it. The small rectangle then was fit snugly around a straw and taped (I helped with this part). The end of the rectangle at the top of the straw was also folded over and taped...and then we taped this to the back of the Rocket Ship. They had a blast (hardy-har-har). 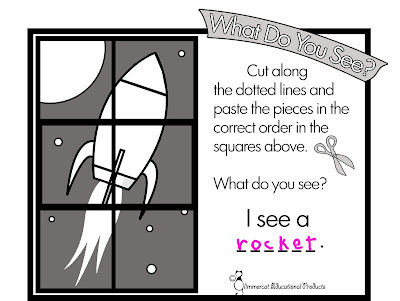 In our Letter of the Week packet, we also have a fun puzzle activity that shows a rocket when it is all put together. Next Day, we focused on R is for Rabbit, which is available also in our "Tale of Peter Rabbit Literacy Packet". Here, my son is cutting out the pieces that turn a non-descript toilet paper roll into a cute little bunny rabbit. We kept our Rabbit cut-outs to the same soft brown color, so there is no need for paint with this craft. Just googly eyes. The backside of the Rabbit goes on the backside, of course. Everything else (ears, eyes, front feet, face) goes on the front. We also took a cotton ball and broke it in two...one half went on the rabbit's tail, and one half went above his eyes and between his ears. When we introduce R for this letter, we also introduce raccoons, since Glimmercat is meeting one in the woods. 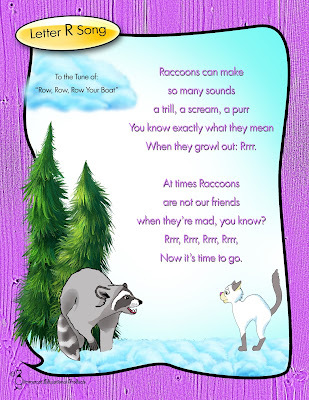 I'm going to share the song with you here because it is a cute and memorable way for children to remember the sound for R.
After a song like that, we had to make our kids into little Raccoons so that they could go "Rrrrrr", too. Most children love to play-act, and getting to be a little Raccoon that runs around and growls, "Rrrrrr!" was the most fun ever. Our Raccoon craft is purposely not colored because we wanted to use a shape-color connection for kids to create their raccoon in generally accurate tones. I helped her cut it out, though. 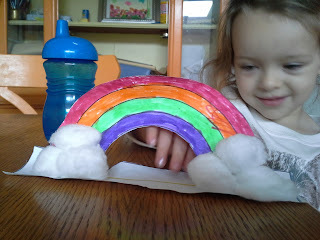 The final craft I will share here is our little Rainbow Craft. Easy to do and just needs coloring and cotton balls. (I love keeping those added materials as inexpensive as possible!). We tried ours in markers. This wasn't the best plan as our paper tended to wilt from the moisture of the pens. I'd say sticking with crayons or colored pencils for this one would be best. Unless you have thicker paper than I do myself. Now, more about that Reading Literacy activity, mentioned above. 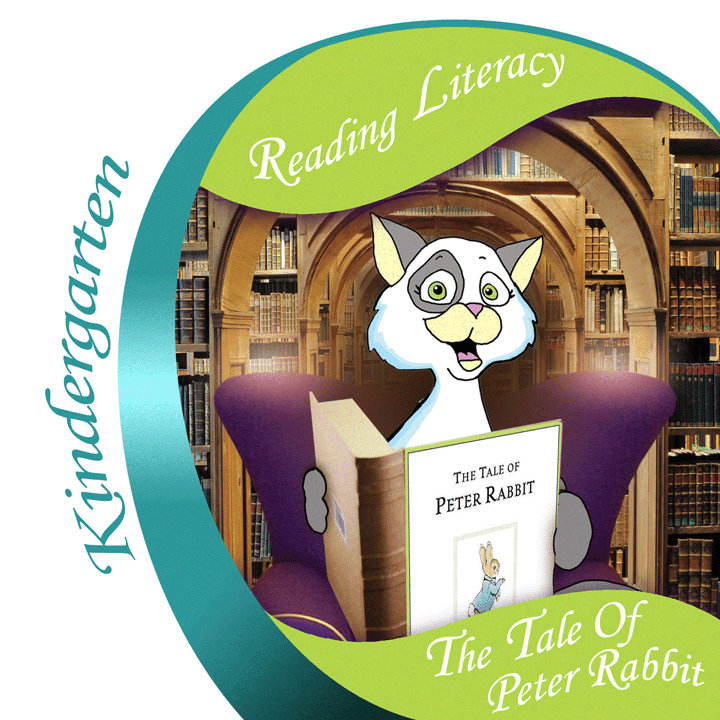 For the letter R, we created a fun activity for "The Tale of Peter Rabbit" by Beatrix Potter. We made a Peter Rabbit Pictograph, where my son chose the amount of vegetables that he believed Peter ate. 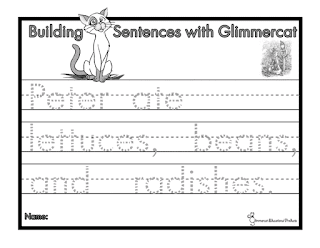 With this reading literacy activity, we practiced Inference, as all that the delightful Beatrix Potter shares in her story is: "Peter ate lettuces, radishes and beans". And we know that Peter gets sick from having eaten so many. To follow up, we also created a Building Sentences activity that allows children to insert the number that they chose for each of the vegetables in their graph. 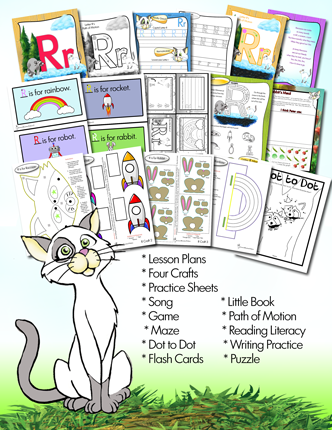 For a lot more R activities, both printables, reading literacy activities, flash cards and a Letter R Matching Game, head over to our teacher store here. What's YOUR favorite Letter R activity? Share with us int he comments below! OH MY GOODNESS!! I am in LOVE with this idea and these activities!!! I am going to try to set up something like this with music vocabulary, so I'll be coming back to your page for inspiration. Thank you so much for sharing!!! This post is wonderful! I am always working with my kids on letters and their sounds and this is a great way to help cement that understanding in a fun way. Thanks! Wow! 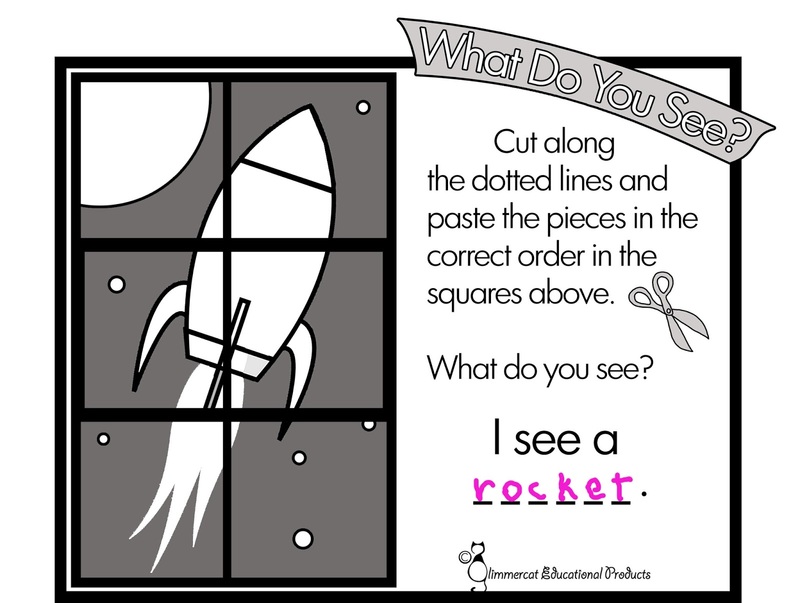 Great activities for the letter R. I can't decide which is my favorite, the rocket with the straw to launch it or the graph for Peter Rabbits veggie dinner! CLICK HERE to Download After Five Phonics Packet FREE! 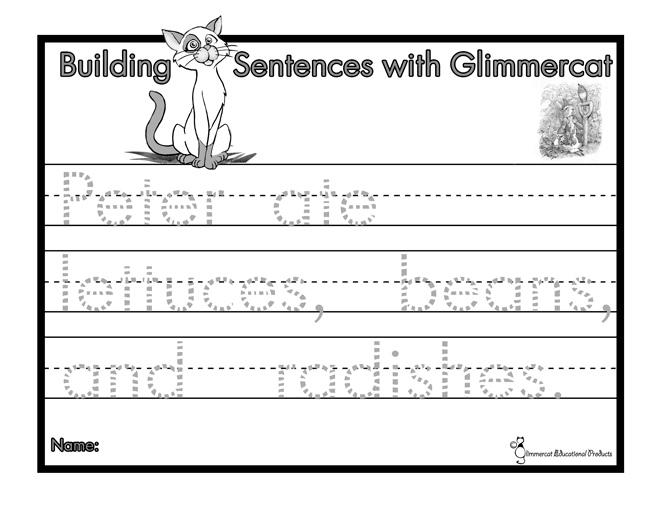 Supplemental Activities for "Teach Your Child to Read in 100 Easy Lessons"
© 2018 GlimmercatEducation.com. Powered by Blogger.